Kim Gregson's moment of doubt came two weeks into her recovery. In pain, swollen, and aching with a sensation like a bad sunburn around her liposuction sites, she sat in her doctor's office bawling "What was I thinking? This is awful." After shedding 70 pounds through weight loss, Kim spent $8,500 on a tummy tuck to remove excess skin. She also wanted to remove the negative self-image that lingered with her. In the end, the 5-foot-1 human resources manager went from a size 16 to a 4 petite. Despite the pain and the cost -- her husband sold his Harley Davidson to help pay for the procedure -- Gregson, 47, says it has been worth it. Today, she calls herself a "new person" and "emotionally better" and has had significant health benefits from her weight loss, including lower blood pressure and cholesterol. Those sentiments are echoed time and again with other women who have had similar procedures. Sabrina Blasingame, a 26-year-old mother of two who lives in Twentynine Palms, Calif., says her $18,000 breast augmentation and tummy tuck were "worth every penny." Samantha Alvarado of New York City, also a 26-year-old mother of two, was so pleased with her $13,000-plus breast augmentation and lift, and tummy tuck -- aka a "mommy makeover" -- that she returned to school to become a plastic surgery nurse. Alicia Hunter, 43, of Miami, bartered her services as an aesthetician for a pair of silicone implants to add volume to her breasts, after she breast-fed her two children. "I feel like a whole woman now," she says about her 32-D bra size. More women who have lost significant weight or had several pregnancies are turning to cosmetic surgery to reclaim a positive feeling about their bodies. They join others who seek to turn back or stop the clock, or enhance what they already have, through surgery and/or injections. 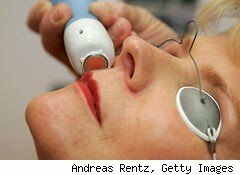 These various motivations, largely emotional in nature, have driven spending on cosmetic procedures to more than $10 billion in the last year alone. Women made up 91% of those customers for a total of 11.5 million procedures, up by 5% from 2009, according to the American Society of Plastic Surgeons. Despite the recession and its aftermath, the cosmetic procedure industry has continued to grow, and every demographic tracked by the ASPS registered an increase last year. Over the last decade, there has been a shift from surgical operations like full surgical facelifts, to injection-based treatments or injectables, like Botox and Restylane. Cosmetic surgeons, physicians and even dentists giving injectables like Botox would have consumers gloss over the costs. Botox costs between $400 and $600 per session, and needs to be redone every four months. It doesn't take an advanced accounting degree to see the repetitious nature of such therapies adds up to a lot of money. "I counter by asking a woman how much they spend on cosmetics every year," says Dr. Phil Haeck, president of the American Society of Plastic Surgeons. Cristina Hadzi, 54, who owns her own interior design firm in New York City, has been getting Botox for almost 10 years with Dr. Adam Kolker, a Park Avenue plastic surgeon and an associate clinical professor of surgery at Mount Sinai Hospital. Christina says she budgets for the injections in the same category she budgets for hair and other beauty treatments. Last year, when her business slowed, she stopped treatments. But with her income back up this year, she is back to doing injectables regularly. Another procedure growing in popularity is a "stem-cell facelift", which also done entirely with injections of a person's own body fat, which can cost between an estimated $5,000 and $10,000. Amy Klein, 41, says the results were worth it for her. Amy, who is a freelance writer, had the procedure done two years ago on the eve of moving to New York City from Los Angeles, where she had lived for the previous decade. She says the procedure knocked five to 10 years off her age, which made her feel confident returning to her home city of New York. "When I was coming back to [New York City], it was like returning to a 'den of thieves,'" she says. "But I was looking pretty good next to the women who were five years younger than me on the Upper West Side." A romance that was budding before the procedure, bloomed after her facelift and she's now engaged to get married. When Does Beauty Pay Off? Determining whether a cosmetic procedure, surgical or injectable, is worth it is a deeply personal question, and the answer tends to depend on whether one is asking the question in terms of economic outcomes (not really), happiness (yes, perhaps) or health (depends). Despite marketing campaigns and personal anecdotes that suggest otherwise, there's very little academic data to show cosmetic surgery has any direct economic benefits for those who have it done. Daniel Hamermesh, an economist at the University of Texas at Austin, has studied the economics of beauty for more than 20 years. 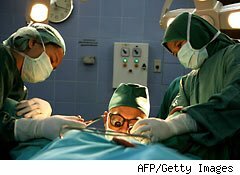 There's little concrete economic analysis on the benefits of cosmetic surgery, he says, because those who get it are a self-selecting group. Hamermesh did find, in a study he co-authored which looked at beauty and income, that for every extra dollar spent on appearance, the return on investment was about 15%. But as so many women attest, it's not money they are after but happiness. And that return on investment equation does have compelling data to back it up. Hamermesh has found that beauty and happiness are correlated: Better-looking people tend to be happier and experience both direct and indirect economic rewards. "Any kind of market where you interact with a seller and the seller has some discretion [over the price], a better-looking person might do better," says Hamermesh. Dr. Haeck reports that he is increasingly seeing men getting nips and tucks with the purpose of specifically boosting economic outcomes. "They are competing for a scarcity of jobs," he says. "A man might say 'I am the the oldest guy in my division and the competition is younger.' Before, the motivations were to look more attractive, like it was buying new clothes, but this year, we really heard the job issue." Kim Gregson has become a real advocate for women wanting to undergo cosmetic surgery. She emails with hundreds of women in various stages of their own plastic surgery journeys on RealSelf.com, a popular online review and discussion site for cosmetic pro. "Women are judged because it is vain or it's a lot of money," she says. "But a lot of people spend money on a car, so why can't you spend $15,000 on yourself?" Still, a number of recent studies have pointed to the downside to cosmetic surgery and procedures. In July, research by scientists at the University of Colorado showed that fatty deposits removed from the belly, hips, and thighs returned within a year of the procedure -- but in new areas, mainly the upper abs, shoulders and upper arms. Another recent study from Duke University on those with Botox showed it may limit their ability to empathize with others because facial mimicry is a key component to perception and relating to people. Yoga and Almonds: Nature's 'Cosmetic' Procedures? Mitch McCabe is a documentary filmmaker who lives in Los Angeles. Her 2009 film, Youth Knows No Pain (watch it on Hulu), was part memoir about her experience growing up as the daughter of a plastic surgeon, and part investigation into why people seek out age-defying surgery. Along the way, she dabbled briefly the world of injectables, getting Radiesse during the film and another injection later which left a lump near her eye. McCabe says her experience made her confront the double-edged allure: She enjoyed the results of the first filler she received, but was less impressed with her second treatment. Ultimately, she had reservations about putting foreign substances into her body, and getting sucked into the ongoing costs of treatments. "Getting my hair colored is insane enough," she says. "You have to pick your battles." She admits that in the appearance-worshiping culture of Hollywood, where people "have much nicer cars than houses," it's hard to commit to "never again" for cosmetic procedures. Meanwhile, Mitch swears by raw almonds and downward dogs as the antidote to getting older. "I took up yoga just as I was finishing the film and I have never gotten so many compliments," Mitch says. "Just like exercise is to anti-depressants, so is yoga to anti-aging." Catherine New is a staff writer with DailyFinance.com. You can reach her at catherine.new@huffingtonpost.com.